Hanks, Lyle W. Lyle Hanks, St Louis Park and Minnetonka, loved husband, father and grandfather, passed from this world to be with the Lord on Nov 2, 2012 at the age of 82. Preceeded in death by parents, Willard and Estella Hanks, and brother, Stanley G. Hanks. Survived by his loving wife, Laura, of 61 years and his children James (D'Anne) Hanks, Gerald (Pattie) Hanks, Judy (John) Otterson, John (Heather) Hanks. Survived by his seven grandchildren Tim Hanks, Kevin Hanks, Erik Otterson, Kristin Otterson, Kelsey Tatone, Jill Anderson, and Jack Hanks. Born in Elk River, Minnesota on Aug 28, 1930, Lyle was raised on the family farm. Lyle graduated from Elk River High School in 1948 and Hamline University in 1952. He earned a Master's degree in Education Administration from the University of Minnesota, taught and coached at Slayton, Minnesota for 3 years, and proudly spent 37 years in St Louis Park as a teacher, coach and administrator. For his dedication to athletics and academics, Lyle was inducted into the Elk River, St Louis Park and Hamline University Halls of Fame! Between 1971 and 1996, Lyle served 11 years on the St Louis Park City Council and Mayor of St Louis Park for 13 years. As Mayor, he served as Co-Chairman of the St Louis Park Centennial Celebration in 1986. Lyle was active in the Masons as a member of Paul Revere Lodge, Phoenix Daylight Lodge, Minneapolis Valley and Templar Lodge of Scottish Rite and Zuhrah Shrine. He served as Master of Paul Revere Lodge, Venerable Master of the Scottish Rite of Minneapolis and was coronetted a 33 degree mason. He served on the Minneapolis Mason Home Board for 12 years and chairman of the board for 4 years. 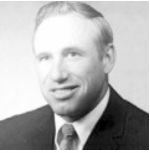 Lyle served as a board member of The Association of Metropolitan Municipalities; Board member and 1st Ambassador of the Minnesota League of Cities; Chairman of the Southwest Cable Commission; & Board member of the Hamline Piper Athletic Association. Lyle lived a great life and had a positive influence on so many people's lives. He loved what he did. He remembered his students & athletes with pride and took great delight in their successes. Lyle, above all else, cherished his family. He loved spending time at his cabin on Rice Lake in the summer and his residence in Vero Beach, FL in the winter. Lyle's children and grandchildren will always treasure the memories and love of their dad and grandpa. Memorials to the St Louis Park Public Schools Foundation; Shriners Children's Hospital and Aldersgate United Methodist Church. A memorial service celebrating Lyle's life will be held at Aldersgate United Methodist Church in St Louis Park at 11 AM on Wednesday, Nov 14, 2012. Visitation will precede the memorial service on Tuesday, Nov 13 at the Church from 5-7 PM and Wednesday at 10 AM. Lyle Hanks was "Mr. St. Louis Park." Hanks was a teacher, coach and administrator for 40 years, 37 of them in St. Louis Park, where he also served on the City Council for 11 years and as mayor for 13 years. Hanks, 82, died Nov. 2 at his winter home in Vero Beach, Fla., after a three-year battle with fibrosis of the lungs. His wife, Laura, said that he wanted to see three things before he passed. "He wanted to see his grandson get married in California, he wanted to see his granddaughter get married in Sartell and he wanted to attend his 60th college reunion at Hamline." Hanks hit those milestones, which came as no surprise to those who knew him as a man accustomed to an active work schedule and tireless service to his community. Hanks grew up in Elk River, Minn., where he starred on the school's football, basketball, baseball and track teams. He was an all-conference fullback and guard on the Elks' 1947 undefeated season and graduated in 1948. At Hamline University, he majored in math and played football for four years, twice being named an all-conference player. For his dedication to athletics and academics, Hanks was inducted into the Elk River, St Louis Park and Hamline University halls of fame. Hennepin County Commissioner Gail Dorfman served on the St. Louis Park City Council and eventually succeeded Hanks as St. Louis Park mayor. "Lyle was like Mr. St. Louis Park," said Dorfman. Because of Hanks' long tenure as a teacher and coach, he knew virtually everyone. "For those of us newer in town, he was our mentor and teacher," Dorfman said. "Lyle loved St. Louis Park, and he wanted to convey that to the new people on the council." Hanks championed the "Vision St. Louis Park" program, a communitywide strategic development plan and was central in creating a philosophy to accept change while being inclusive and respectful. "Lyle wanted to make sure that the people who were affected by the decisions of the council had a role in the decisionmaking," current St. Louis Park Mayor Jeff Jacobs said. He said Hanks was "a great big bear of a guy, firm but kind-hearted," with the largest stable of Sven and Ole jokes around. "Every week he had two or three Sven and Ole jokes, and I don't think I ever heard the same one twice," Jacobs said. Phil Frerk played football for Hanks at Slayton, Minn., and later became a teaching and coaching colleague in St. Louis Park. "You played your heart out for him, but he never lingered on the past but always looked forward." Frerk said Hanks also handled discipline issues as assistant principal. "He always found a way to get through to kids and offer the right words of encouragement at the right time." Hanks retired from St. Louis Park High School in 1991 and as mayor of St. Louis Park in 1996. Hanks is survived by his wife, Laura; sons James, Gerald and John; a daughter, Judy Otterson, and seven grandchildren. Services have been held.